Flexible living in York - Three is the magic number! Winchester in Hampshire takes the top spot on the list of the best places to live in the UK according to the Telegraph. The recent article, which summarises Halifax’s independent report, ranks the historic English city as top because of its ‘average weekly earnings, low crime rate and good health’. 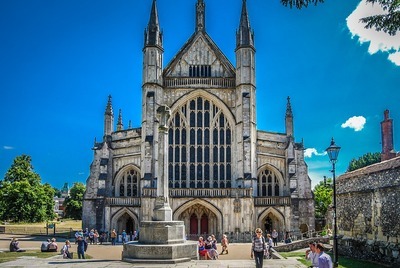 Add to that the variety of things to see and do – the magnificent Winchester Cathedral and bustling Farmers Market - and it’s easy to see why the population growth was above the UK average in the council’s last census. The little town of Dorking in Surrey is small in size but big in character. Buried in the heart of the Surrey Hills, the town is recognised for its natural beauty, with miles of surrounding countryside attracting those who seek an outdoor lifestyle. And, judging by the response to Millwood Designer Home’s recent property development in the area, Dorking is set to welcome more residents in the coming years, shrugging off pressure from its larger competitors. Low Newton, situated on the picturesque Northumberland coast, attracts seaside lovers who enjoy nothing more than a day at the beach followed by a pint in the local – The Ship’s Inn to be precise. It’s the perfect place for those who wish to escape the fast pace of modern life – and since it’s almost entirely owned by the National Trust, residents can rest assured, the beautiful landscape of their hometown isn’t changing anytime soon. To enjoy city living without the chaos, settle in Scotland’s capital city, Edinburgh. Home to the infamous Fringe Festival, Royal Botanic Gardens and an abundance of grand castles, this city has something for everyone. Shop along Princes Street when you feel like embracing the hustle and bustle or take a stroll to Arthur’s Seat when you want to escape from it all. The quiet town of Harrogate in North Yorkshire - once a popular spa resort in the Victoria era -attracts visitors nowadays because of its wealth of art, culture and adventure activities, including the infamous Betty’s Tea Rooms. What’s more, York and Leeds aren’t far away and Nidderdale - an Area of Natural Beauty – is right on the doorstep. Ardingley in West Sussex is the latest place to join the commuter’s hit-list. This small countryside town is close enough to London to commute daily but far enough to escape when needed. Known for its quaint cottages and international antiques fair, people are buying homes in Ardingley for a quiet, country life where they are still able to reach the city or beach in less than two hours. For those wishing to live in a quintessential English city, look no further than Cambridge. The University town boasts some of the finest art galleries and museums in the UK along with boutique shopping and punting along the river. The city is loved by both students and families thanks to accommodation and activities that cater for all ages.